It's time to rejoice! Texas rock group Abandon have (or more accurately, Forefront Records) finally released a full-length album. However, most of the songs are taken from their previous two EPs, Abandon and Abandon II. There are four new tracks, but that's all: everything else has been previously released. Abandon kind of sounds like old-school The Killers meets Sanctus Real. In a way, that really works to their advantage, and it's especially evident within the first few seconds of the opening track. The synth-laden, driving electric guitars and pounding drums hit the musical sweet spot quite well. Unlike The Killers, Abandon's lyrics are not suggestive, and in fact deal with themes of redemption, forgiveness, brokenness, and love. Musically, Searchlights is predominantly weighted toward rock anthems, but there are a few times when Abandon slow things down a bit. Quite frankly though, I don't think "quiet rock ballads" are their forté. listening to songs like "Here We Are Now" and "Your Love Lifts Me Up" are rather unpleasantly reminiscent of many composed-by-numbers pop-worship groups. But it's not all like that, thankfully; most of the tracks have an energetic, almost epic feel to them. Also, just note that only four of the tracks (as mentioned earlier) are new: "Confession," "Here We Are Now," "Safe In Your Arms," and "Your Love Lifts Me Up." However, the entire album is a nice collection of songs for those that don't already own both of the previous Abandon EPs. So, is it worth delving into Abandon's latest? Ultimately yes, unless you happen to own both EPs, in which case purchasing the entire album would be a bit of a waste. Instead, I'd recommend just getting the new songs off iTunes or Amazon's mp3 store. Also, there are four tracks missing from the previous EPs, so if you don't own the EPs but wanted some of the songs that didn't make it to the LP, take note of this fact. 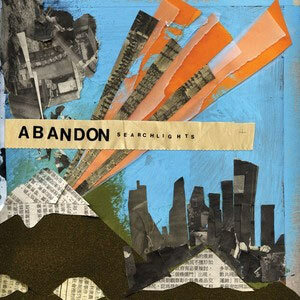 In closing, Abandon's Searchlights - while nothing stellar - is quite an enjoyable rock album, and is worth checking out. Let's hope that their next release improves even more upon the original.